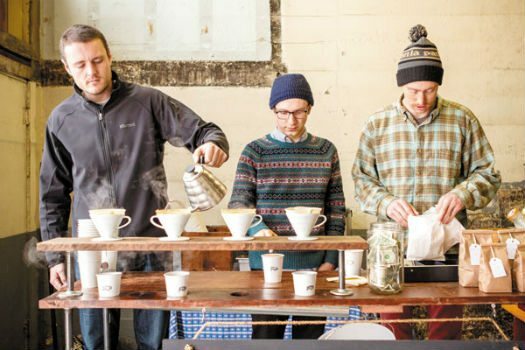 We at Dangerous Coffee Co are craft coffee fanatics in search for the ultimate cup of coffee. 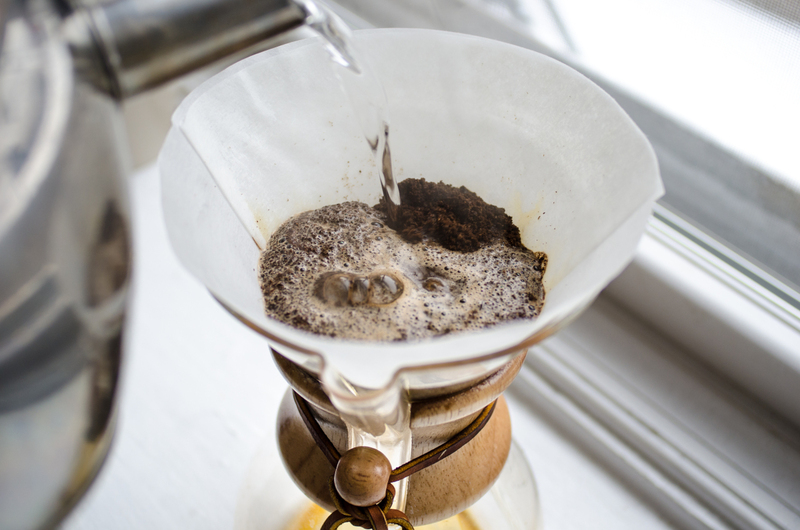 It all started with the discovery of proper brewing methods like pour over chemex, aeropress, fellow products, and french press brew methods. Properly brewing coffee opened a whole new coffee world to us. We had no idea what we were missing. Once you discover how to brew coffee correctly you become obsessed with great beans and roasts. Discovering amazing beans and roasts became the new obsession. Light roasts with fruit notes from ethiopia, medium roasts that balance rich coffee with subtle nutty flavor notes, and dark roasts with their syrupy velvet smooth deep rich coffee flavor. Then we ran into peaberry coffee! What is a peaberry coffee bean you ask? Well coffee beans grow together in pairs flat against each other like halves of a peanut inside a coffee cherry but in roughly 5% of coffee a mutation occurs and the bean is born alone. The theory is that since the peaberry bean is alone he gets all the nutrients to himself. 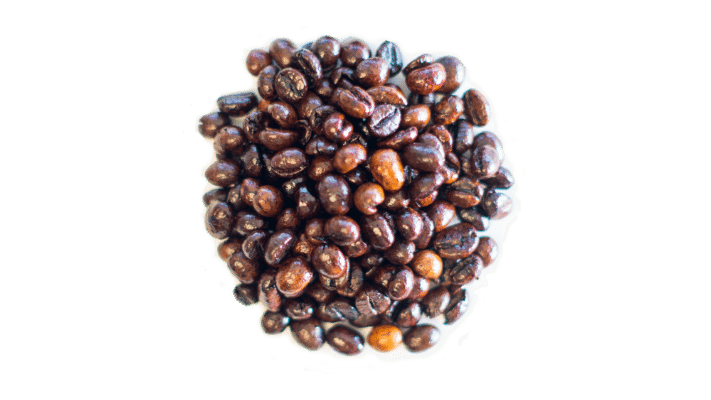 Peaberry coffee beans are typically smaller and more dense than their halved counterparts. Tanzania peaberry, Kenya peaberry, Indian peaberry, Kona peaberry and Maui peaberry oh my! We were hooked! Our quest for new and unique peaberry strains took us to some exotic places all over the world. With great flavor often comes strong caffeine so let’s talk about strong coffee. Brewing coffee extracts 3 primary components. The first is Carbon Dioxide which shows it’s self in the form of a coffee bloom. A coffee bloom is the expansion of the grinds when first try to cover them in water. The process of roasting coffee locks carbon dioxide inside the bean. A solid bloom is the hallmark of a fresh roasted coffee bean since the carbon dioxide hasn’t had a chance to degrade for long. It is also the reason to grind beans fresh for a brew and to start the brew process immediately after the grind. Then next component to show up are the solubles. The solubles in coffee are all the good stuff luckily your caffeineand flavor all the things we want. The last component and the last thing to be extracted from the coffee are the insolubles. Insolubles are the chemicals left after the solubles have been pulled and will extract into your coffee if the coffee brew time is too long which will make your coffee bitter and super acidic. Now let’s talk about the difference in caffeine between Light and Dark Roast coffee. 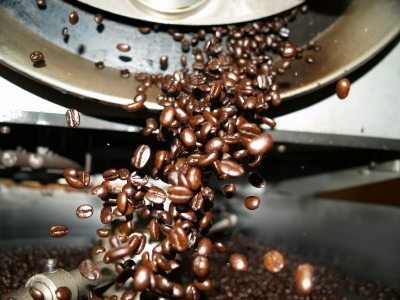 The process of Roasting Coffee actually burns out some of the caffeine. The longer you roast the bean the less caffeine it will have left. So when you walk into a coffee shop and say “give me the strongest coffee you have” you might confuse the barista. Do you want a strong coffee in flavor or strong caffeine? 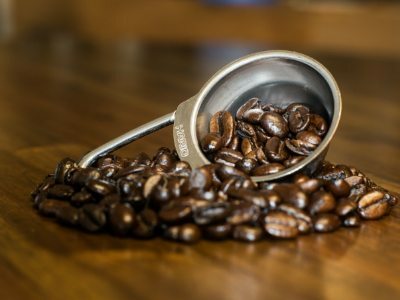 Most people believe a dark roast equals a strong cup of coffee but dark roasts actually have less caffeine than light roasts because light roasts have been roasted less. We wondered is it possible to have high caffeine in a dark roast? Our search for amazing peaberry coffee lead us to discover just that. This was an artisan peaberry robusta cultivated for decades the same way top arabicas are. A Robusta Peaberry coffee with flavor profile that rivals the best Arabica’s in the world. With twice the caffeine of an Arabica it could be dark roasted and still have plenty of caffeine. So smooth so rich and BAM caffeine like a freight train to the dome. All we could say is damn that is Dangerous! Dangerous Coffee Co. was born.